Here is our non-partisan guide to information about our local, county, state and national elections. The links below will help you find information about the elections, voting dates, candidates, primaries, where to vote, qualifications for voting, provisional voting, voter registration, lost voter registration certificate, find your polling place, what's on the ballot, and answers from the candidates on major issues. Please be an informed voter, and vote. In order to vote a person must be a registered voter. You can pick up a voter registration application from a number of places, including government offices, libraries, city offices or online. You can check to see if you are registered to vote at this same web site. Voters have several races on this ballot including Texas governor, US senator, Texas lieutenant governor, US representative, state representatives, judges and many other state and local races. SEE ALL ELECTION AND VOTING DATES: www.votetexas.gov/voting/when.html. Includes Early Voting and Voting By Mail dates. LOCAL ITEMS: Some voting jurisdictions are also having local items on the ballot for voting. For details, check with your County Clerk office as described below. Important reminder: During early voting, you can vote at any polling location in your county. MORE DETAILS: The League of Women Voters provides more details (including very helpful "For & Against" arguments) about the propositions at: Definition of Each Proposition, and Videos. Also see below all County and certain city locations and web links for sample ballot, polling locations, etc. SAMPLE OFFICIAL BALLOTS: Some county government websites and/or Facebook pages have links to their forthcoming ballot documents. See our Portal County Profiles in the menu above, select the county government website, and then the County Clerk tab, and look for "Sample Official Ballots" by precinct. LEAGUE OF WOMEN VOTERS (US): Founded in 1919, the League is a non-partisan, trusted organization that works to promote active, informed participation of all citizens in their government. www.lwv.org. 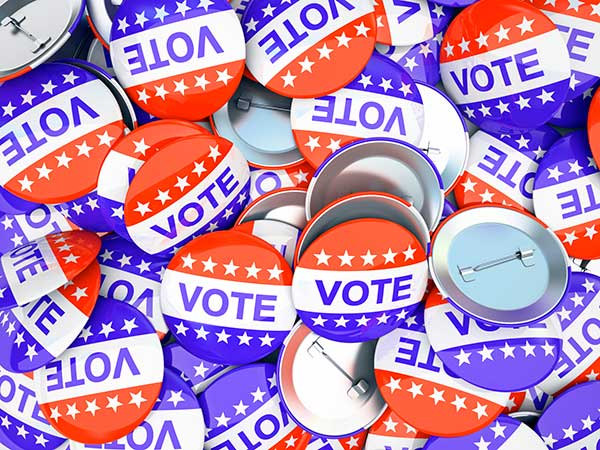 ON-LINE VERSION OF LWV VOTERS GUIDE: Coverage of local elections and candidates is available in a few League locations in the Hill Country. SECRETARY OF STATE (TEXAS): www.sos.state.tx.us; and https://voterinfo.sos.state.tx.us/voterws/viw/faces/Introduction.jsp. 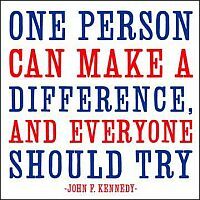 Provides voter registration information, local county election officials, election history and statistical information. SECRETARY OF STATE-ELECTIONS DIVISION: 800-252-VOTE (8683); www.sos.state.tx.us/elections. The Secretary of State is the chief election officer for the State of Texas. The Secretary of State’s Elections Division provides assistance and advice to election officials on the proper conduct of elections. This includes hosting seminars and elections schools, providing calendars, ballot certification, primary election funding, and legal interpretations of election laws to election officials. They also provide assistance to the general public on voter registration and other election issues. SECRETARY OF STATE-VOTER REGISTRATION: www.VoteTexas.gov. This Texas state government website covers the who, when, what, where of voting in Texas. Early voting is described. Voter applications are available on-line at this site, and at county election offices, and many post offices and libraries. Requirements for registering to vote: Be a US citizen; Be a resident of the county; Be at least 17 years and 10 months old (you must be 18 years old by Election Day); Not be a convicted felon (unless your sentence is completed, including any probation and parole); and, Not be declared mentally incapacitated by a court of law. If a person moves or changes their name after they are registered, they must notify the local voter registrar in their home county of the new information. You can check your registration status at this web site. To complete a voter registration application, a person must provide a Texas Driver's License number or Texas Personal I.D. number issued by the Texas Dept of Public Safety. If a person has neither of those numbers, the applicant is asked to provide the last four digits of their Social Security Number. The number submitted by the applicant is verified before a voter registration certificate is issued. If none of the numbers are provided on the application, the person can still be registered, but they must show a proper form of identification at the polling location before they can receive a ballot. REGISTRATION REQUIREMENTS: To register to vote, an individual must be a United States citizen, a resident of the county, and at least 18 years old on Election Day. Persons must be registered to vote at least 30 days in advance of the election date. NATIONAL REPUBLICAN PARTY: www.rnc.org (www.gop.com). COMAL COUNTY DEMOCRATIC WOMEN: 830-832-4957, 830-935-4504; Meets 2nd Fri of every month, 11:30a, at Tye Preston Memorial Library, 16311 South Access Rd. Bring a friend and a dish to share. KENDALL COUNTY AREA DEMOCRAT WOMEN: 830-755-4434. http://kcadw.com. Meets 2nd Thurs in Boerne area. MEDINA COUNTY DEMOCRAT PARTY: Sandy Young, County Chair, 210-548-6585 www.medinademocrats.org. Meet 3rd Tue at the Moye Retreat Center, Castroville, at 6:30p; and every Fri at 10a at El Charro Restaurant in Hondo for Coffee and Conversation. 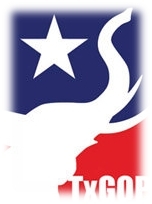 GOP BUZZ: See www.gopbuzz.com for a calendar of local events in support of conservative Republicans. 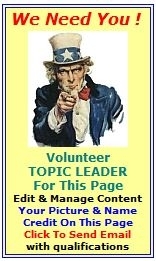 >> And, of course, you can use your favorite browser to search for any topic of interest, from the "Tea Party" movement, to web sites hosted by the candidates. This space is reserved for election notices and brief profiles that candidates provide to inform the public of their background, qualifications and positions. Note: These are large pdf files (requires a pdf reader) and may take a long time to download depending on your internet connection speed. 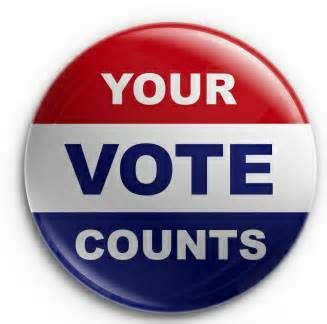 Remember to take along your identification and voter registration card. Locations for General Elections and Primary Elections can be different. To avoid problems, verify your polling location sufficiently in advance as locations can change. Look on your voter registration card for your Precinct number to find your voting location. Precinct Numbers: A 3 digit number is the typical format, where the first digit is the precinct number, and the next two digits together represent sections within the precinct. See local precinct maps. Recent polling locations: Be sure to check locally for most current location. They change often based on expectations of voter turn out! Early Voting Locations, See weekday and weekend locations. BURNET COUNTY: Barbara M. Agnew, Burnet County Elections Administrator: 512-715-5288; 220 S Pierce, Burnet, TX 78611. Web. EDWARDS COUNTY: Allen Ray Moody, County Attorney, 830-683-6128; 400 Main St, Rocksprings, Tx 78880. No web information available regarding elections. KIMBLE COUNTY: 325-446-3353; County Clerk, Haydee Torres, 501 Main St, Junction, TX 76849. www.co.kimble.tx.us/ips/cms/countyoffices/countyClerk.html. No web information available regarding elections. MASON COUNTY: County Clerk, Pam Beam: 325-347-5253; 201 Fort McKavitt, Mason, TX 76856. www.co.mason.tx.us/ips/cms/countyoffices/countyClerk.html. No web information available regarding elections. MCCULLOCH COUNTY: County Clerk, Tina A. Smith, 325-597-2400 ext. 2; 101 N High, Brady TX 76825. No web information available regarding elections. MEDINA COUNTY: County Clerk: Lisa J. Wernette, 830-741-6040; 1100 16th St, Rm 109, Hondo, TX 78861. No web information available regarding elections. MENARD COUNTY: County Clerk: 325-396-4682; 206 E San Saba (at Menard County Courthouse), Menard, TX 76859. No web information available regarding elections. REAL COUNTY: County Clerk: Bella A. Rubio, 830-232-5202; Leakey, TX 78873. No web information available regarding elections. The above identification must be current and not expired, or if expired, then it must have expired no more than 60 days before it is presented for voter qualification at th the polling place. Please contact the Secretary of State or your local voter registrar for information concerning when the above photo identification rules are effective, and for information concerning limited exceptions to the phone identification requirement for certain voters with disabilities, or voters with religious objections to being photographed, and voters affected by certain natural disasters." According to the League of Women Voters of Texas, "In the General Election, voters in Texas may vote for any candidates they wish, regardless of whether they voted in a a party primary or participated in a party convention. all candidates form all parties are on the same ballot. Government check, or other government document that shows your name and address"
Election identification certificates are now available only for voters who do not already have a required form of photo identification. There is no fee for the certificate. Information on how to obtain an election identification certificate can be found at www.dps.texas.gov. You may also contact DPS by telephone at 512-424-2600.